Welcome to 3 Guys And A Stove in Huntsville, Ontario! 3 Guys And A Stove is a ‘must eat’ whenever you are in Muskoka! Walk through the door and enjoy the great food, friendly service and music. Enjoy lunch or a delicious dinner 7 days a week and be prepared to enjoy the best breakfast around every Saturday and Sunday! Our Kids menu is yummy and healthy. Ali Hunter Cuisine is a full service catering business focused on quality and exceeding your expectations while using locally grown product. All Fired Up specializes in wood-fired pizza using local ingredients. They’re open Fridays and Saturdays when you can stop by to pick up a pizza and their bagels. You can find them on Highway 118 outside Bracebridge, at local farmers markets during the summer or you can even ask them to cater your event. We serve three meals per day. The variety is inviting and the quality such that guests are tempted to try everything – they are free to do so. Coffee and muffins for early risers, afternoon tea and scones, hearty picnic lunches, impromptu luncheon barbecues by the lake and weekend buffet lunches are all part of the Arowhon Pines dining experience. Join us to find out why a dinner at Bartlett Lodge is a “not to be missed” night out in Algonquin Park. A ride in our motorized freighter canoe begins an unforgettable evening. As you enter our lounge and dining room, the history of tourism in Algonquin comes alive. Our tabletop models of the Highland Inn, Mowat Lodge, the Hotel Algonquin and Nominigan Lodge remind you of days gone by. Board our shuttle boat and cruise over to the historic Marine Dining Room. Like Gable and Hemingway revel in the breathtaking lake views and dramatic architecture. Chef Philip Leach has established his culinary mark by creating appealing and mouth watering dishes that have Muskoka’s local and cottage residents buzzing. Black River Food Co. came into conception approximately 4 years ago. Black River Food Co. supports the farm-to-table philosophy and does not use preservatives or pesticides in our products when possible. All meals are made in a health inspected kitchen with ingredients you would use in your own home. Our kitchen cooks in small batch sizes to keep everything homemade. When you are making a proper roux or reduction you cannot replace a chef with a machine. Since 1985 Christine Bib catering has been making events perfect for hosts and guests alike from Toronto to Muskoka. Our mission is to provide superior product and service customized to our clients’ needs. Richard Lalonde has become owner and executive chef at Cross Roads Restaurant and has been insistent on the use of local products such as Brooklands Farm produce and naturally raised beef and pork from Winding Fences Farm. Executive Chef Richard Lalonde likes good, ‘honest’ cooking with respect to products and ingredients and the inspiration of the season. It is all about good quality, atmosphere and value. A founding SAVOUR Muskoka partner, Deerhurst produces its own maple syrup, honey, shiitake mushrooms and herbs as well as forages for seasonal ingredients like wild leeks, sumac & cat tails. Chef Rory Golden and his team work with and support over 20 area suppliers to showcase “eat local” particularly in the resort’s signature restaurant, Eclipse. Enjoy a lakeside setting at the new Hidden Valley Resort, this summer with a new and exciting resort destination in the heart of Muskoka. Miss Nelle’s Cafe and Antiques, located in Baysville, is a great place for breakfast, lunch, snacks…Many come by bike, boat, by foot or drive in for something to eat. Miss Nelle’s also retails many local products including roasted coffee, honey, syrup and also makes gift baskets. With a sunset as unique as Muskoka, Moon River Lookout offers a flare on Muskoka Cuisine. Sourcing Ontario & Muskoka local ingredients, Owner/ Chef Ken Bol along with Chef Kevin McGarrell offer a creative menu that changes with the seasons. Food… People… Places… Out of these three simple ingredients, Morandin Catering has been creating unforgettable weddings, private parties, and corporate events in Muskoka for over two decades. Food is our passion. The people at Morandin Catering all share that passion and a commitment to flawless service for every occasion. And our places—the spectacular Muskoka venues we work with—are among the most impressive anywhere. Put it all together and the results are…perfection. Join us in the Clifftop Bar & Grill or experience sublime dining in the Muskoka Room. Muskoka’s newest dining venue and menu is as spectacular as the views from our 17,000 sq.ft. Clubhouse. Muskoka Memories Steakhouse & Seafood is located in the beautiful Patterson-Kaye Lodge on the river in Bracebridge, Ontario. Executive Chef Glenn Kitchen recognizes the importance and affect that supporting local growers & value-added food producers has not only on the quality of the delectable meals he creates but also on maintaining a secure local food system and promoting a diverse economic exchange right here in his backyard. Click on the name above for monthly specials, hours of operation and photo’s. Muskoka Natural Food Market is your one stop shop for the informed, health-minded consumer. Visit our storefront location in Baysville to find the finest selection of artisan cheeses, meats, fine foods and extraordinary catering services. Voted “Best Fine Dining in Muskoka” popular restaurant one fifty five (155) caters to food lovers. Concentrating on local ingredients and seasonal dishes, one fifty five consistently receives rave reviews. Chef/Owner Michael Rickard offers a unique culinary experience to be savoured which includes many a guest visiting his kitchen. For an intimate evening meal, one fifty five offers the perfect inviting ambiance with a reasonably-priced wine list. And for a more casual lunch designed to fit into a busy day in Muskoka, one fifty five awaits you. Riverwalk Restaurant, located right on the river in downtown Bracebridge, is a beautiful place to be transported to heavenly food, a dynamic wine list and a culinary twist where Chef David Friesen and his staff creatively incorporate as much local produce, meats and value-added artisan foods as possible! Click on the name above for Riverwalk’s special offerings, menu’s, hours of operation and photo’s. Located at The Rocky Crest Resort, The Windows Dining Room Executive Chef Ken Schulz brings Muskoka inspired cuisine to this beautiful dining atmosphere. Seven Main cafe is located on the busy Main St. of Huntsville, Ontario. We strive to use locally sourced products whenever possible and serve Muskoka Roastery Coffee which is small batch roasted within miles of our cozy little cafe. Come in to enjoy lunch or a latte and check our schedule for live music and special events! Look inside to find out more. 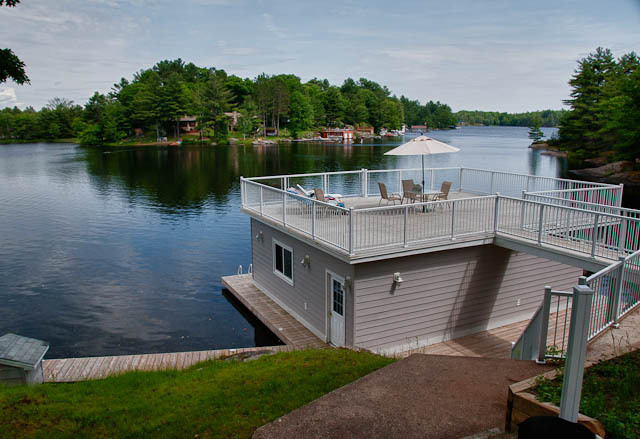 Sherwood Inn is located on the beautiful shores of Lake Joseph in Muskoka. Sherwood Inn is a founding member and life time supporter of SAVOUR Muskoka and is renowned for its culinary excellence for over seven decades. Sherwood offers fine linens and Muskoka -inspired cuisine which features many local ingredients prepared by Everett Bell, Chef De Cuisine, and his extraordinary culinary team. A Culinary treat in the center of Huntsville, Tall Tree’s enjoys a reputation for quality food, wine and hospitality. Please click on the name above for specials, Christmas Party bookings, menu’s and hours of operation. Executive Chef Andrew Dymond at Taboo Resort Golf and Spa brings a wealth of knowledge and high standards to his role. Chef Dymond is passionate about cooking with using local ingredients to create globally inspired dishes. Co-owners Jed Corbeil & Curt Dunlop operate this cozy pub that specializes in high-end pub food and Ontario craft beers tucked away in downtown Bracebridge. A fixture of Bracebridge since 1985, The Old Station offers a quality dining experience in an atmosphere that is purely Muskoka. Enjoy the warm summer days on our wrap around patio or warm yourself by the fire on a cold winter night. Come on in and let us surround you with great food and great service! Enjoy casual fresh dining in the original 1819 Muskoka lodge. The menu offers seasonally inspired cuisine, emphasizing fresh, simple preparation using locally grown foods. The majestic post and beam architecture of the main lodge affords a captivating and panoramic view of the lake and surrounding forest. Caterer and life long Muskokan resident Vanessa Edwards is revealing amazing locally inspired food from her one of a kind mobile catering truck! She takes the party wherever it needs to be and brings her positive spirit to every occasion. Vanessa’s Kitchen is known but definitely not limited to catering extraordinary wedding celebrations, birthday parties and even simple family reunions. Vanessa’s catering experience is reflected in the fresh, whole and gourmet food fare locals have grown to love. Vanessa books up fast in the summer so get her while you can! Windermere House is home to both The Rosseau Grill and Windermere Pub & Patio.Towns – I will fill this via wikipedia and the town sites.